Minimum of five events must be added to the Wish list to enter. No cash alternative will be given and only value of tickets on Wish List will be reimbursed. The judges’ decision is final; no correspondence will be entered into. Prize is valid at the 2018 Cheltenham Literature Festival only. 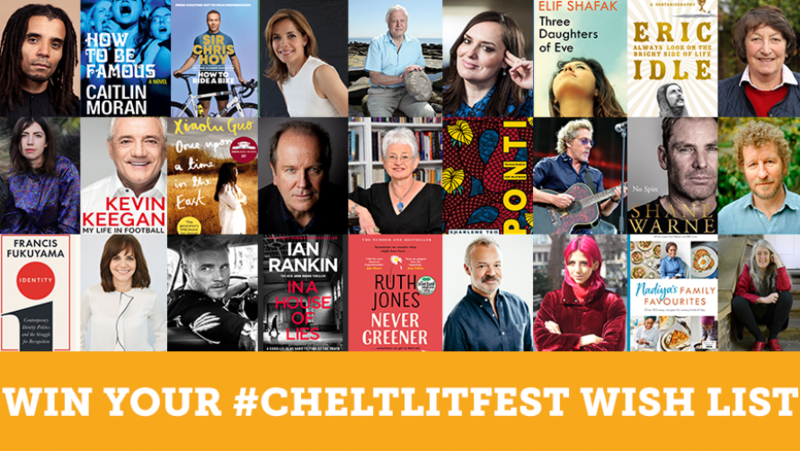 Become a Cheltenham Festivals Member before 1pm on 29 August and be among the first to book for this year’s Literature Festival. Being a Member is one of the best ways to enjoy all that the Festivals have to offer. Enjoy priority booking for every Festival: Jazz, Science, Music & Literature, save on tickets and help support the Festivals.